I only bloody went and did it! I ran 9 miles to work this morning! After about 6 hours of nervous sleep I got up and I smashed it in 1hr36 minutes and I’m so so pleased. The best news is I’ve managed to stay awake all evening. 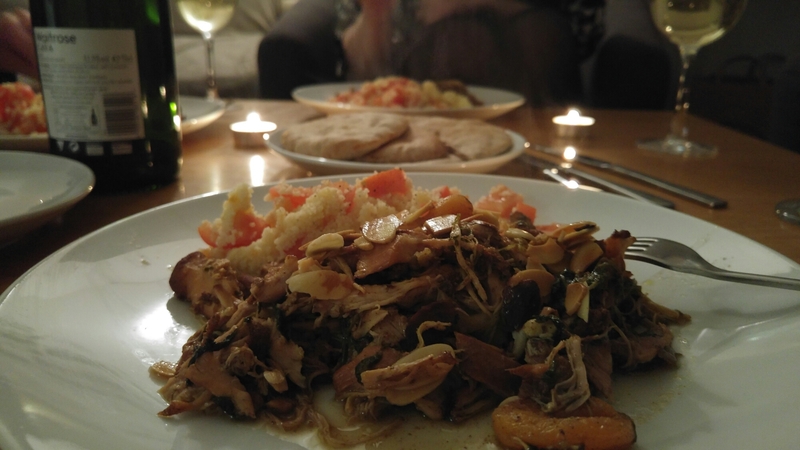 Tonight was ‘Come Dine with Fae’ and she made this incredible Moroccan feast for me and Rach.. so delicious! I’ve had a lovely day and I’m so pleased! 17/02/16 – Carb loaded nerves!